Landscaping is a field dedicated to the design process, execution and maintenance of the land surrounding a property. This includes, but is not limited to, elements of architecture, gardening and exterior design. A good landscaper will show creativity in his work by manipulating a natural space into a unique environment that is functional and fits the taste of the homeowners. It requires a working knowledge of artistic design and horticulture in that specific location under the restrictions and allowances of the climate and terrain. Landscaping can be an intimidating endeavor to plunge into, for financial and commitment reasons. However, if you have found yourself on this page then you have already completed the first step to the landscaping venture: doing your research. From the concrete minimalist to the bohemian flower child, there is something to gain from landscaping for everyone. Humanity’s origin story, no matter which origin story, always starts with nature. Incorporating this basic element into the buildings we reside in allows for many psychological benefits which all lead to an overall monetary gain in property value. For reasons below, we continue to benefit from landscaping. Buying a home is one of life’s great experiences, and most people relive that experience at least a couple of times before they make it to their last home. Real estate is an ongoing investment and there is opportunity to make a substantial return upon selling. A well manicured lawn and eloquent landscape design are a guaranteed promise to raise the property value of any home. Psychologist Rachel Kaplan reported that families put a strong emphasis on trees, landscaping and places to take walks in their consideration to buy a home. These neighborhoods have a lower crime rate on average and higher rate of community involvement: from nature alone. Experts estimate that investing in landscaping can put an estimated 15 percent increase in property value and lower the time the house is on the market by 5 to 6 weeks. Below is a table showing the significance of different landscaping elements and average percent increase of home value in various states. The data obtained in the table came from a survey with about 150 respondents from each state. Each participant was given 16 pictures of different landscaping trends to be compared with a “base home” that showcased no landscaping. These statistics were based on their own responses. 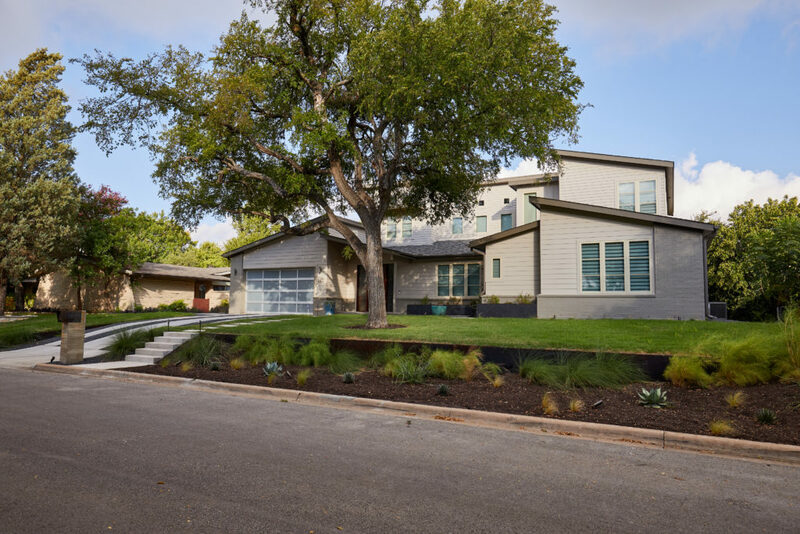 The sophistication of the design proved to be the most important element in adding to overall property value, meaning a professional landscaper may prove to give a higher return value than would be expected with minimal additions of plants and shrubs. The results indicate in each state that landscaping has a positive return on property value. With a nine percent increase on a 200,000 dollar home, 18,000 dollars would be the expected return value. Landscaping has managed to figure out how to make money while preserving nature just by adding a couple of trees. Giving back to the world that inhabits us should be an important aspect of every home. While the environment doesn’t have to be the foundation of why a landscaping project was brought to life, it does serve as a complementary benefit. On average one tree can remove 26 pounds of carbon dioxide emissions from the air each year. Trees will also absorb dust, smoke and other harmful gases, producing oxygen in return. While the leaves of the trees and plants are absorbing these harmful gases, the roots are doing a service of their own. As roads and pavements have become more prevalent in suburban neighborhoods, the roots of plants and trees soak up excess water that could turn into hazardous runoff. The deep root systems prevent toxic minerals like phosphorus and nitrate from running off the lawn into drain systems. Diverging back to money, trees offer a natural shade for a home, in turn reducing the amount of energy used for the air conditioning to cool down the house. Likewise during the winter the trees act as an insulator to the home, keeping the heat that is produced to stay inside longer. A daily dosage of interacting with the outdoors has always had positive effects on mental and physical health in humans. We as humans share a natural bond with nature, so it isn’t surprising that integrating it into our homes can have great benefits on our well-being. The simple act of looking outside a window at a scenic view displaying nature has proven to lower blood pressure levels in some people and reduce overall stress. The act of maintaining a garden itself is said to burn about 400 calories in each session and is a very healthy outlet. In a research study, two hospital patients with different rooms were compared to each other. One room had a window with a view of concrete and one had a room with a view of nature. Of the many patients studied with these criteria, the patient with the view of nature tended to get better faster than the patient with a view of concrete. Often, improving the state of the mind can positively impact the physical wellness of a human. Landscaping is a very dense niche with projects ranging from simple sprinkler system installations to a full outdoor makeover: design, install, and management. There are packages and specialties that homeowners tend to favor when hiring a landscaper, but each project will be unique to the house that it frames. For beginners, here are a few gems that are good go-to’s when starting the immersion into landscaping. For a general landscaping plan, you can expect new grass, updated hardscaping (walkways, garden edges, etc), and an installation of maybe a tree and several plants. This package varies greatly in price depending on what the homeowners preferences are. Landscape contractors that cover all of the three bases (design, implementation and maintenance) are recommended for a job like this. This type of landscaping is good for the homeowner that is starting from scratch with landscaping. There may be patches of grass missing, not many plants and maybe only one natural tree to work with. The house does not have much depth perception and lacks general aesthetic of the lawn. A healthy, simple and classic take on modern landscaping. 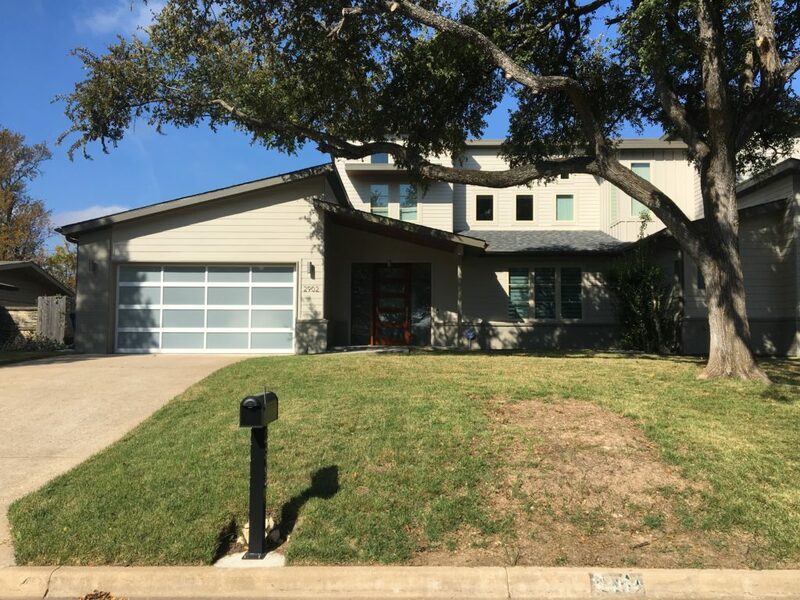 The end product will vary greatly with each home, but the example below encompasses subtle grass plants and succulents divided in a small space in the front with a long step walkway leading to the door and a beautiful tree in the center of the lawn. The end product gives the house a completely different whimsical look. Decks are a specialty niche in landscaping. 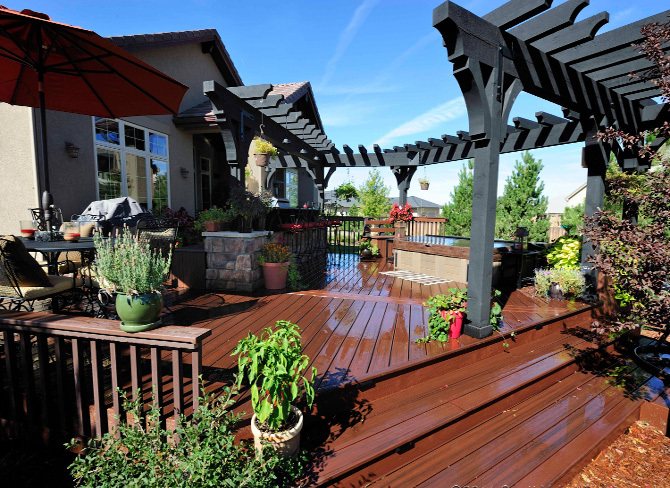 Most landscapers will encroach on building one, but if a deck is all you are wanting in the landscaping department, choosing a specialized deck service is recommended. Decks offer a great space to host that accommodates to both outside lovers and indoor queens. A deck is best suited for a home that sees many events in its future. This yard may have minimal to significant landscaping already placed. The deck is a simple addition that ties the yard and the house together. The end product will entail a unique and cozy place to begin decorating with different furniture pieces and grill accessories. The deck shown below uses a polished finish to create the shiny glow and plays with the use of paneling to enhance the design. Light landscaping is another big niche in the industry. Done correctly and the home will have a whole different personality at dawn. 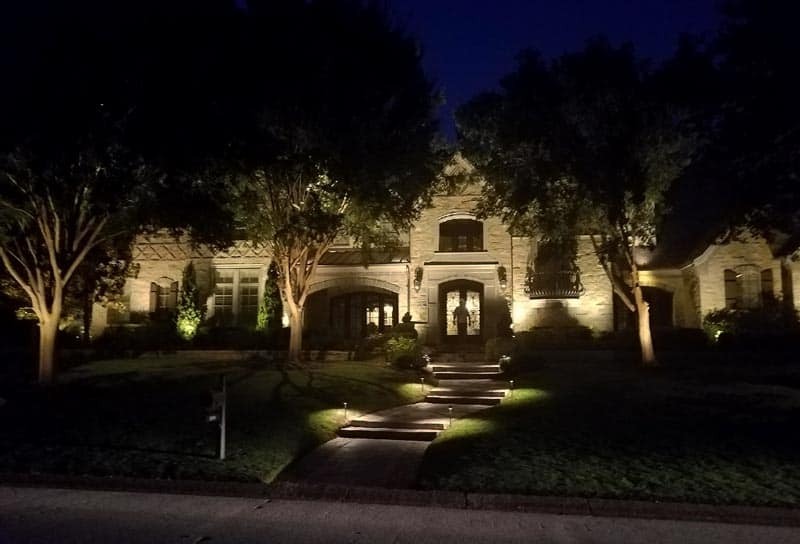 Not only does a well lit home create a romantic touch to the best features of the architecture, but it creates a safe environment during the night. Light landscaping can be a finishing touch on the whole yards landscape or it can be the beginning to the landscaping project. Lights are best for families that are coming and going in the later hours. The lights provide a safe avenue by allowing sight of misplaced objects as well as awareness of any lurkers. Lights can also be installed in pools and trees to create an enchanting mood. Professionals will highlight the beauty in the architecture of the home with strategically placed LED lights. The picture below lights up the stairway for additional safety while emphasizing the trees in the yard and the features of the house. Garden edges seem like a possible DIY project, but these really take a lot of skill to build. You should expect a simple upgrade that will add depth and natural division to a lawn. Concrete can be a more affordable option, however the aesthetic that stone and other natural rock gives a garden area is unmatched. This upgrade is perfect for a gardener who loves spending time outside. Minimal landscaping is required prior to this job, however a garden may be a good start. There are landscapers who will do both. A natural and polished look for the outline of a garden. The end product puts an emphasis on the garden and puts slight depth into the yard. The example below uses a stacked flagstone around the edge of the wild garden. Walkways are sometimes tagged along with the driveway, however creating a long walkway from the door to the sidewalk offers an inviting element to the home. Walkways can use any durable material, most companies offering a variety to choose from. 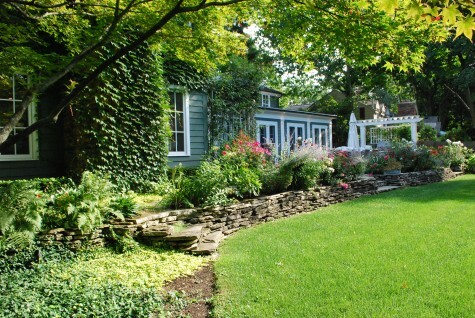 A yard with a large front yard benefits most from a walkway. The walkway allows for a straight path to the door which can be great if you have things in the yard that can be tripped over. The walkway should create a clean and polished entrance to the home. The picture below illustrates the walkways ability to draw the eye to the house. Landscaping encompasses everything from maintenance, design and implementation, so hiring a professional landscaping service can be challenging. Here are a few tips when it comes to hiring a reliable landscaper. First off, begin researching different types of lawns so you can get an idea of what you want. Once you have an idea, start l ooking into landscapers that are in the area. When looking through the landscapers webpage, look for a strong portfolio (one that suits your liking), look at the recommendations and comments left by previous customers, and look for any specializations the company offers. You will also want to choose a landscaper that seems to do the jobs that you are most interested in. Because this field is so large, one landscaper might not do hardscaping while another does everything: it just depends. Call or email each landscaper to talk about what you want and a ask for a quote. Calling the prospective landscapers can let you see how he or she communicates and listens. Having a working relationship with the landscaper is very important so they design something that fits what you want. Keep a list of quotes from each landscaper and decide which price fits your budget. There are important questions that should be asked before hiring a contractor. Does your team specialize in any services? Remember, each service and company will offer a unique experience so it is important to put the research into what exactly you are looking for. Landscaping upgrades will pay off in the end, but getting to enjoy the yard as much as you’re sure to will be the real pay off. If you are interested in other lawn care guides check out Lawnstarter’s lawn care guide. Jake Hill is a Senior Researcher at LawnStarter Lawn Care and has been covering the lawn and landscape industry for over 4 years. His expertise has been featured in The Huffington Post, Realtor.com, Homecity.com and more.